Living a healthy lifestyle sounds great, in theory, but it’s not easy. With 4 kids running around at home and a husband that works crazy hours there are definitely more days than I care to count that I’m ordering pizza or driving through the nearest drive-through. Stress, lack of sleep, and trying to get everything else in the day accomplished before bedtime makes for quick – sometimes irrational – decisions when the dinnertime creeps up and you’re left scrambling. Crazy workdays also give me an excuse to just skip my workout when I’m not really feeling it and am just ready for a cocktail at the end of the day. However, after working on my own health and fitness journey for over 8 years, there are just some habits now that are second nature and help keep me (and the rest of the family) on track. Early adoption of a few quick tips keeps everyone happy, healthy, and sane. Plus, it give me a foundation for whatever life might throw at me. Here’s my quick list of easy tips for healthier living that I try and abide by each day. Of course, some days are better than others but I always give myself grace (in moderation) and move on. Since I work from home, I sit at my desk for most of the day. 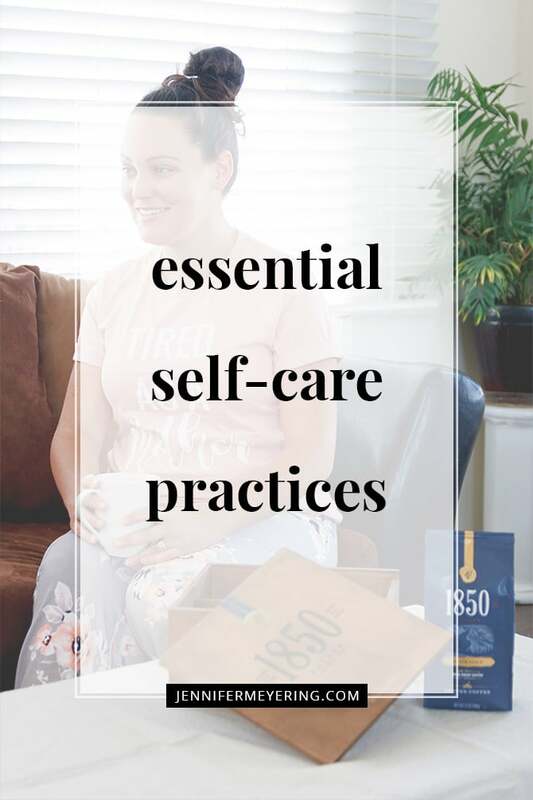 Fortunately, I’ve been able to streamline my workflow so it usually only takes me 4 hours to complete my list of must-do tasks for the day and then I can spend the rest of the day tending to the house, playing with the kids, and getting my workout in. Some days though, work just creeps up and I’m finding myself sitting at my desk until about 5pm and I haven’t done my workout. Even though I workout at home I don’t really like working out late, so if it’s warm outside I’ll just strap the kids in the stroller and head out for a nice evening walk with them to get the blood flowing again. I also have a timer at my desk that reminds me every hour to get up and just walk around the house for a quick minute. As long as I move for at least 30 minutes during the day, I consider it a win. Parking at the far side of the parking lot, taking the stairs, and designate TV commercials to getting up and doing a few squats are also great ways to get your body moving throughout the day. I am terrible at drinking enough water throughout the day. I have tried everything from setting timers to putting rubber bands on my water bottle to show me how much I’ve drank and hopefully remind me to keep drinking. Hydration is key to a healthy gut, clearer skin, and just overall feeling better. So I’m trying to get better. I recently invested in one of those Yeti type cups to keep my water cold throughout the day in hopes that I’ll drink more and it’s working so far. I have to have cold water so this makes it easier since it’s huge and I don’t have to constantly get up to refill all the time. 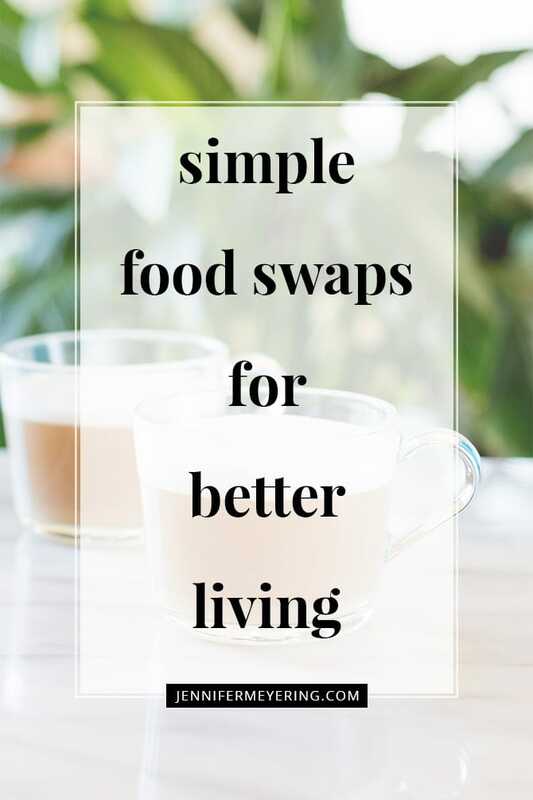 This one seems so simple but you’d be surprised at home many times I reach dinner time and realize that I haven’t had anything to eat except a cup of coffee and water (both of which do not count). I feed my kids but for some reason I always forget to feed myself. However, when I do go grocery shopping I always choose healthy things to feed the family. We rarely have junk food in the house and if you do find it, it’s because the hubby brought it home. Keeping fresh fruit or veggies cut and in containers for easy grab and go is a must. I also keep Shakeology packets and almond milk at the ready for when I’m not that hungry but know I should need something. I don’t always meal plan but when I do the week just goes so much smoother for me. It takes a bit of work and preparation on the weekends but it’s always so worth it. It keeps me reminded that there’s already a healthy meal waiting for me in the fridge for lunch or that the hubby already has dinner ready to take to work with him. Then I’m not left forgetting to eat or scrambling for something for him. When I made-over my closet recently, I decided to start hanging all my workout clothes in outfits on the same hanger and then stack my sports bras right next to them in a basket. Now I have no excuse about not being able to find an outfit to workout in… everything is already right there when I walk in the closet. With a 5 month old at home currently, still sleeping in our room, this one is a little more difficult. I talked a little more about it in my last post but I always try and sleep when I’m able. From trying to take a nap during the day to going to bed earlier at the end of the night, I always make sure to try and get at least 7 hours of sleep per day even if it’s not all at one time or at night. 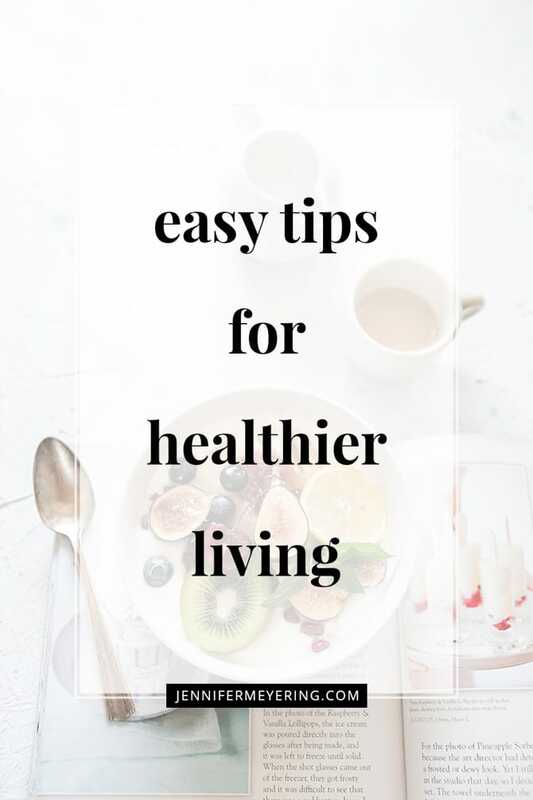 There you have my top easy tips for healthier living. What are some of the ways you try and live healthier?